Navitel Navigator for Windows 10 - Navigator program that allows you to navigate the terrain. A rich base provides the versatility of the application. You can find any area in a large city or even a small road in the village. A service demonstrating traffic jams is supported (a network connection is required). The utility will help the motorist to observe the speed limit, to learn about the approach to the traffic flow and traffic lights. The map catalog contains all Russian and CIS cities. 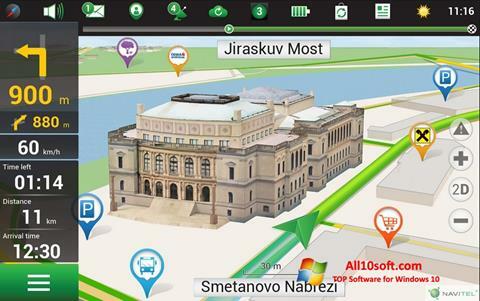 You can free download Navitel Navigator official latest version for Windows 10 in English.